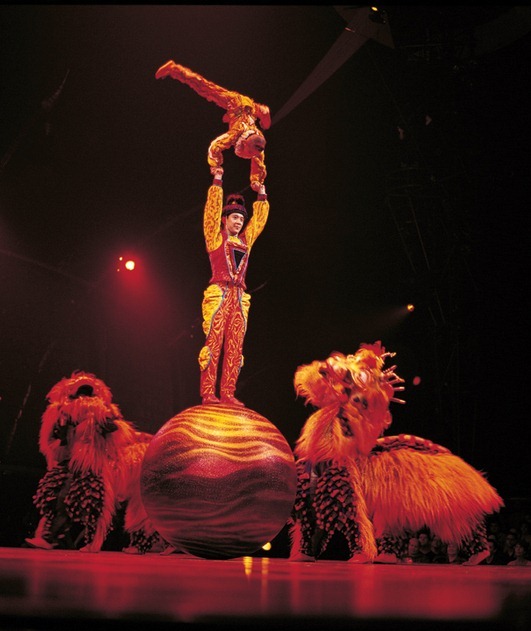 Now the definition of circus in the 21st-century, Cirque du Soleil has brought millions of smiles and awe-struck looks to millions of faces. For a few nights, their 11-year-old tour of Dralion shacks up at the Sears Centre in Hoffman Estates before embarking on the rest of the continent. 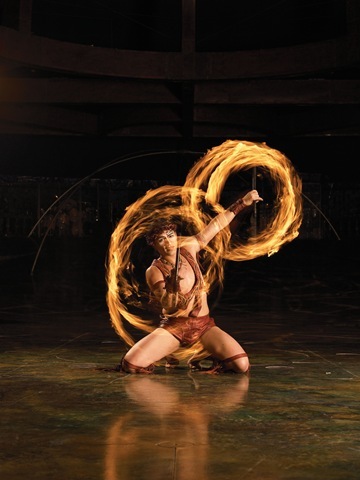 Its name coming from a mash-up of “dragon” and “lion,” this classic in the Cirque lineup touts a combination of Western and Eastern cultures. The acts are pulled from across the globe, with clowns from South America, dancers from Africa, and acrobats from the Far East. It’s a fascinating, eye-catching medley of cross-cultural pollination, and there is a lot of magic at work. For a group known for their conceptual wizardry and honest performances, however, Dralion comes across shallow. The concession stand is open the entire show. If you leave for a hot dog at any point, sure, you might miss some stunning performances, but you wouldn’t be totally lost upon reentry (did I mention that there’s free refills on popcorn and pop?!?) Dralion would be better if it forced the audience to follow, instead of being a take-what-you-want of visual delights. Director Guy Caron claims the show is inspired by Eastern philosophies, especially a sense of connection with nature. To be honest, I didn’t see any driving philosophy working behind-the-scenes. The four elements fire, water, earth, and wind are personified, but there isn’t any sense of journey or character ever. 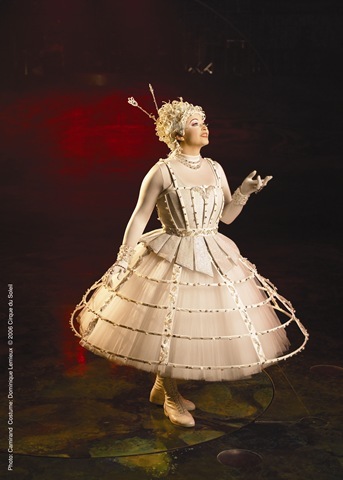 It’s a shame, because Dralion contains some haunting moments. Amanda Orozco and Lorant Markocsany perform a beautiful and heart-wrenching aerial pas de deux on rich, blue silks in the second act. The ballet-like grace of the two puts one in a trance. 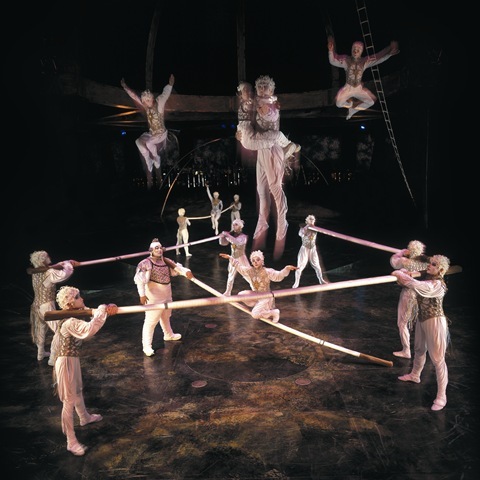 Directly following, a large group of performers float around in a high-flying dance. Shrouded in shadow, the stage looks like a home to ghosts. Both moments take your breath away, leaving you hanging on every muscle movement. Other times are less exciting. Three multi-lingual clowns speckle the show with a few skits here and there. Juan Carlos Bratoz, Michael Edward Hughes, and Christopher Neiman’s brand of comedy is very broad and feels forced at times, especially a bit with a fake hairpiece. The comic breaks seem like interruption. Many of the show’s light-hearted moments really shine, too – like the chaotic hoop diving or the double-dutch insanity of the final act (see video above). Another astounding part is the bouncy antics of the trampoline jumpers, who literally bounce off the walls. The ever-pounding orchestra, led by Stephen Poulin, gives the performers all the aural inspiration they need. The score focuses heavily on Eastern rhythms and massive amounts of percussion, but also pulls from classic rock and new age stylings. Agnes Sohier and Cristian Zabala lend their gorgeous voices and foreign tongues. 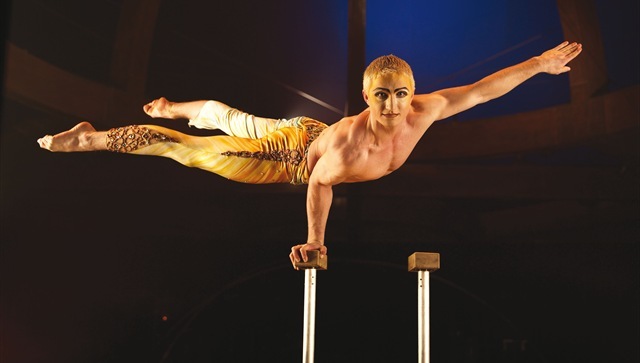 For Cirque, the music score is almost as important as the visuals. 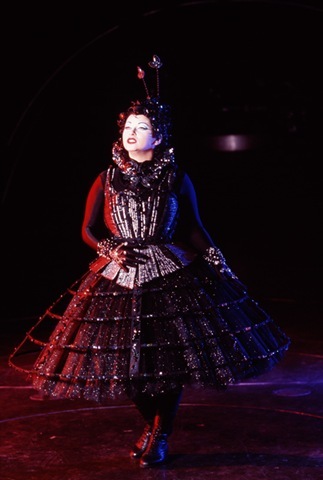 The attention to music direction and choreography ensure a dazzling, multi-sensory experience. Nowadays, Cirque seems most concerned with tacking their shows onto the legends of superstar musicians, with Viva Elvis playing in Vegas and a Michael Jackson-inspired extravaganza in the works. 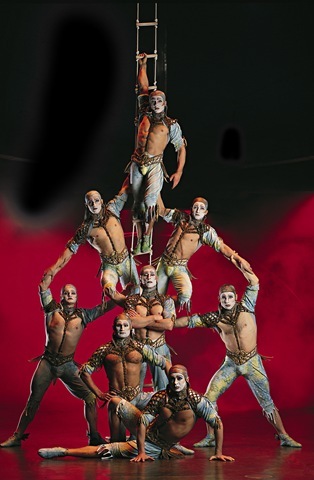 Considering this trajectory, it’s nice to see one of the original innovative shows that propelled Cirque into the common conscience. There’s a zippy, wait-till-ya-see-this energy to the piece. 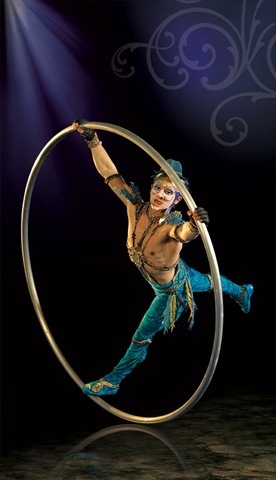 Judging from the empty rows at the Sears Centre, though, it seems like Cirque will have to keep evolving to keep audiences. The separate acts are truly amazing—Dralion really nailed down a winning cast. But the conceptual glue requires review. The show needs to dive deeper and more strongly connect to its fundamental ethos. 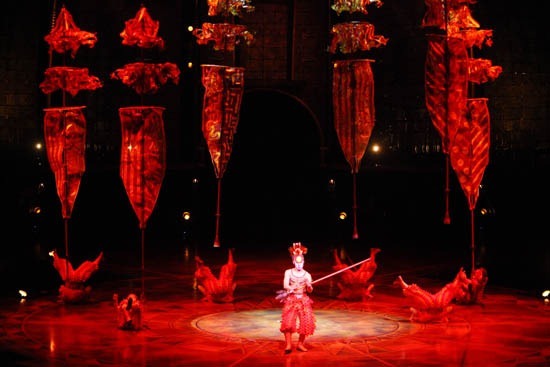 Dralion’s biggest failing is that – possessing a more consistent, cognizant thematic arch – it could be even more remarkable and relatable. Then it would really be worth the ticket price.